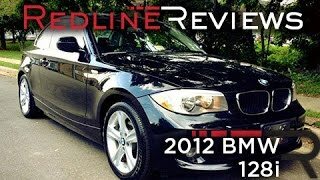 BMW 1 series 2013 features attractive additions to exterior and interior, newly developed gasoline and diesel engines for increased driving pleasure while at the same time reducing fuel consumption and exhaust emission levels to a greater degree. Munich. An extended range of engines, new edition models and numerous other attractive additions to the program of standard and special equipment items diversify the BMW model program for spring 2012. The BMW 1 Series and BMW 3 Series feature newly developed petrol and diesel engines for further increased driving pleasure while at the same time reducing fuel consumption and exhaust emission levels to a greater degree. The BMW 1 Series Coupé and the BMW 1 Series Convertible are offered in the Exclusive and Sport editions. 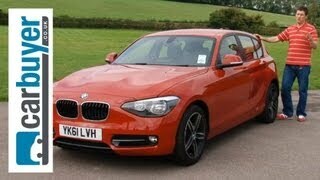 The M Sports package is available for the new BMW 1 Series five-door model. Additional diesel models can be ordered with BMW BluePerformance Technology. Vehicles fitted with this technology already meet all the requirements of the EU6 emission standard. The intelligent all-wheel drive system BMW xDrive now ensures superior traction in the sporty 6-cylinder diesel models BMW 640d Coupé and BMW 640d Convertible. And in the BMW Z4 Roadster the driver can now open and close the hard top while driving, too. The Edition Exclusive is an especially stylish version of the BMW 1 Series Coupé and the BMW 1 Series Convertible. Here the vehicle's appearance is enhanced by means of window cavity covers and side frame strips in Chrome Line or the optional BMW Individual high-gloss Shadow Line. Another eye-catching feature is the range of light alloy wheels available in 16, 17 and 18-inch format (depending on engine type). The customer can opt for the exclusive body finish in Mineral Grey metallic or else one of five finishes drawn from the standard portfolio. A further dash of colour is provided by the exterior mirrors in Oxide Silver matt finish. Exhaust covers and longitudinal kidney grille bars in chrome (for all engine types) complete the package of body features. five-door model: new 4-cylinder petrol engine in the BMW 125i and two state-of-the-art turbodiesels in the BMW 125d and BMW 116d EfficientDynamics Edition. Thanks to its classic rear-wheel drive, state-of-the-art 4-cylinder engines and hallmark brand proportions, the new version of the compact five-door model is truly impressive with its sporty driving dynamics, unique handling qualities and innovative elegance. From spring 2012, the M Sports package is now also available for the new BMW 1 Series, providing an especially intense driving experience. High-quality components such as the M Sports suspension lowered by 10 millimetres with tighter spring/shock absorber settings and harder anti-roll bars tangibly emphasise the active driving character of this BMW, with an extended wheelbase as compared to the predecessor model and a wider track width providing the perfect basis. An M Sports brake is optionally available as an exclusive feature with the M Sports package, except for the models BMW 125i and 125d. It consists of aluminium multi-piston fixed calipers finished in dark blue metallic bearing the BMW M logo and 17-inch lightweight construction brake discs. This further enhances the driving dynamics potential of the compact five-door model. Another such feature is the 17 or 18-inch M light alloy wheels in double spoke styling with mixed tyres. After its debut in the BMW 650i, the intelligent all-wheel drive system BMW xDrive now also ensures supreme control and maximum acceleration in the sporty 6-cylinder diesel models BMW 640d Coupé and BMW 640d Convertible. 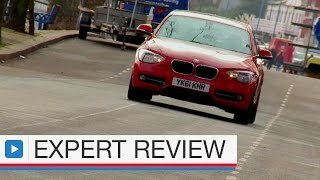 In addition to the characteristic benefits of all-wheel drive, xDrive with its electronic control system and extremely fast power distribution between front and wheels also guarantees superior traction, maximum safety, excellent handling and optimum application of engine power in all weather and road conditions. This means that the potential of the 230 kW/313 bhp in-line 6-cylinder engine with BMW TwinPower Turbo Technology can be put to even more effective use, especially since the torque maximum of 630 Nm is already available within the range of 1,500 to 2,500 rpm. BMW xDrive constantly operates on an anticipatory basis, stabilising the vehicle when required even before the driver notices that there is a need for action. An optimised set-up, promoting agility and precision on bends too, provides an ideal combination of dynamic performance and comfort - an excellent basis within the premium segment of exclusive 2+2-seaters for providing driving pleasure which is both dynamic and efficient.